The sun arose on a green but windswept ridge overlooking a verdant valley dotted by trees and dusty tracks. All was peaceful, save for birdsong. The keen-eyed amongst us would have seen white-coated troops snaking across a bridge in column, while outriders spread out before them, keeping a watch out for observers. Drums began to rattle and roll, and men hurried to form line while cannon were brought forward. 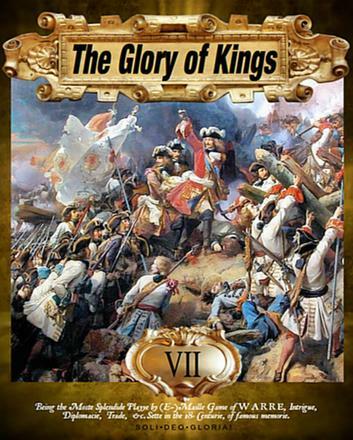 The Glory of Kings is set in the days of the 18th century, with one game turn representing a month and players taking on a variety of roles. 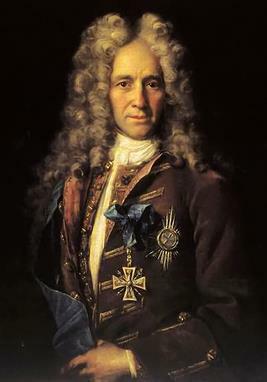 Typically you play as the head of a country, for example the King of France, a German prince, or a Chinese or Indian lord. Smaller positions, such as a notorious pirate, can be taken on instead, if you prefer. Each game turn is run approximately once a month in real life, and each turn you receive details of your own position details, hopefully letters from others, and the in-game newspaper. The game has won multiple awards over the years, and is a firm favourite amongst our players. Standard turns cost £10 each, or £6 each if you prefer to roleplay as a single character in the sister-game Swashbuckler (such characters still play within games of The Glory of Kings). The rules are deliberately cheap in order to get potential players to take a look. Please note that you are not tied into anything, and you can join or leave a game of The Glory of Kings any time you like! Thanks for reading, and we hope you decide to take the plunge and join us in this epic award-winning game!